IPOPI recently held the 2015 edition of the Latin American Regional Patients Meeting back to back with the LASID Congress (Latin American Society for Immunodeficiencies Congress). This great event gave participants an opportunity to learn about sustainability of the NMOs (National Member Organisations), how to implement locally the 6 Principles of Care for PIDs and the importance of SCID Newborn Screening. The Meeting took place in the 18th and 19th of November at the Sheraton Libertador Hotel in Buenos Aires Argentina and was well attended by 11 countries of Latin American region that learnt from each other’s experience and from IPOPI’s especially designed Workshops. Jose Drabwell, IPOPI President, and Roberta Pena, IPOPI Board member responsible for the region, welcomed all 11 countries (Argentina, Bolivia, Brazil, Colombia, Costa Rica, Ecuador, México, Paraguay, Uruguay, Puerto Rico and Venezuela) to the meeting as well nurses, physicians and industry. Dr José Luis Franco, LASID president, opened the IPOPI meeting and after his speech Dr Silvia Danielian (Immunology and Rheumatology Garrahan Pediatrician Hospital) provided the keynote presentation on the topic “Towards a National Program of Neonatal Screening for Severe Combined Immunodeficiency”. This allowed participants to get realize the importance of implementing SCID Newborn Screening in LATAM countries with governmental cooperation. The first day continued with a practical lecture by Liliana del Valle Rodriguez and Nora Marín, nurses from the Garrahan Pediatrician Hospital on Subcutaneous IG. Jose Drabwell, presented a brief overview of ‘IPOPI’s activities, toolkits and support programmes for the NMOs’ to let them know that IPOPI can do to help them with their activities. Participants ended the day with a dinner and casual gathering. 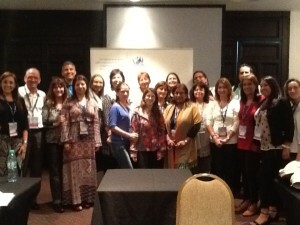 For the second day IPOPI had several workshops and lectures on NMO sustainability and on the Principles of Care of PIDs. Roberta Pena moderated the first workshop on “NMO sustainability including fundraising” focusing on NMO management and also the second one on “NMO Key Successes and Challenges” giving the floor to participants to share their recent achievements. Jose Drabwell, IPOPI president gave an overview of the PID principles care document recently released by IPOPI which are: 1. The role for specialized centers; 2. The importance of registries; 3. The need for international collaborations; 4.The role of patient groups; 5. Management and treatment options for PIDS; 6. Managing PID diagnosis and care in all countries. 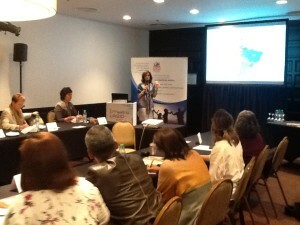 Following Jose Drabwell’s presentation, Dr Beatriz Tavares Costa Carvalho (Brazil) helped participants start to identify their national priorities with the lecture “PID Principles of Care, National Perspectives and Identification of Regional Priorities”. Roberta Pena moderated the last workshop on “PID Principles of Care Towards National Implementation” where all NMOs reached an agreement on necessary actions, implementations of toolkits, conclusions and next steps to work together with a unified regional voice. 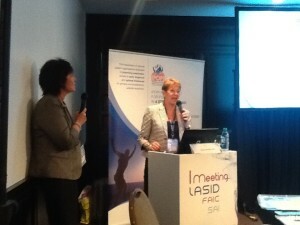 We would like to thank CSL Behring for supporting this meeting and to LASID for the good cooperation.